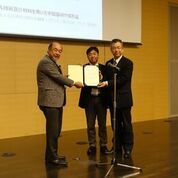 Structural Faults and Repair 2018 Conference，Edinburgh, Scotlandにおいて、以下の論文がNDT Award（全63編の論文から1件）を受賞しました． K Hashimoto, T Shiotani, N Okude, C Granier, K Watabe, H Takamine, SIMULATION INVESTIGATION OF ELASTIC WAVE VELOCITY & ATTENUATION TOMOGRAPHY USING RAIN-INDUCED EXCITATIONS. 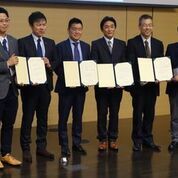 Structural Faults and Repair 2016 Conference，Edinburgh, Scotlandにおいて、大津政康特任教授がLife Time Achievement Awardを受賞しました．また、以下の論文がNDT Award（全論文から1件）を受賞しました．H. 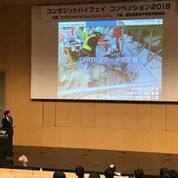 Asaue, T. Shiotani, T. Nishida, K. Watabe and H. Miyata, Applicability of AE Tomography for Accurate Damage Evaluation in Actual RC Bridge Deck.